Spring reappears as if from the dead. The winter rest is ending. 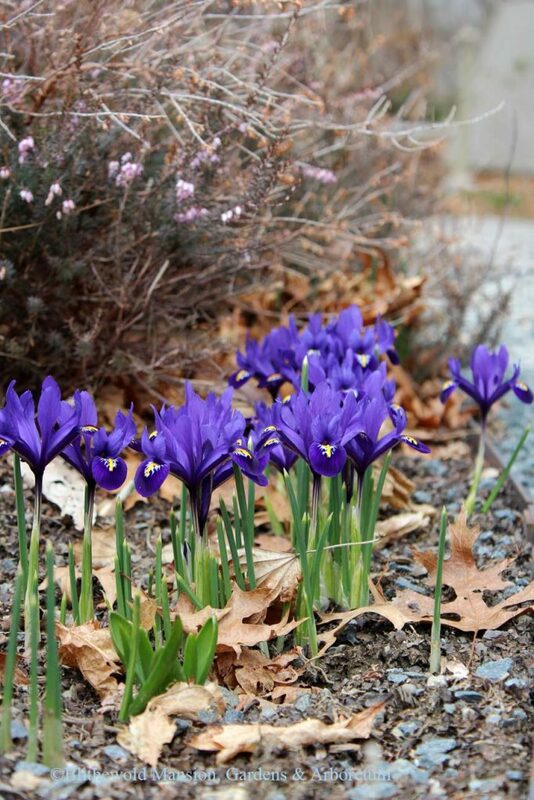 The first spring bulbs have now emerged and delight us with their long-awaited blooms. The bulbs we planted last October have risen from their hibernation. What a beautiful vision! 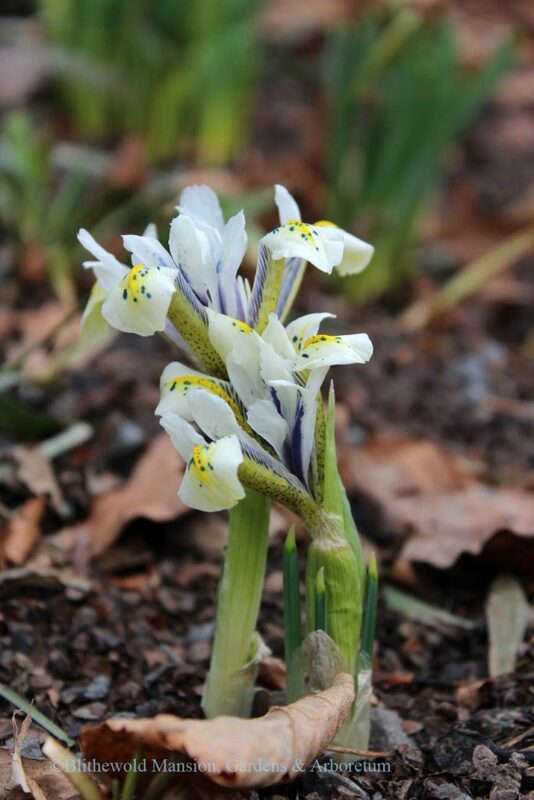 Last fall we planted two new reticulated irises – ‘Eye Catcher’ and ‘Alida’ – in the dry shade garden outside the moongate of the Rose Garden. 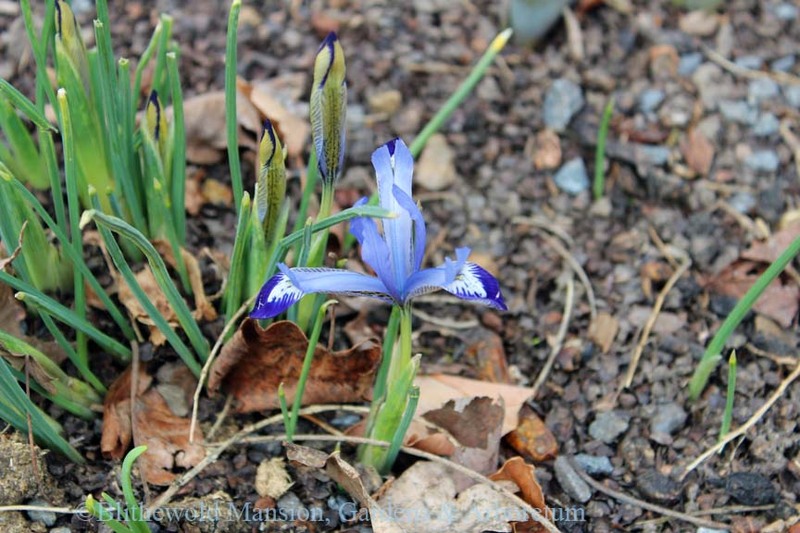 This garden is filled with early spring bloomers. 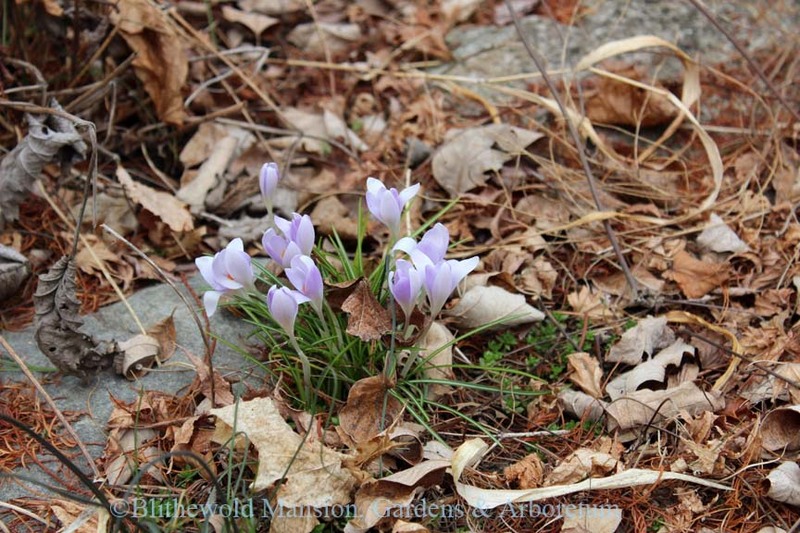 It’s a very happy, showy community of blooms in late March through early April. 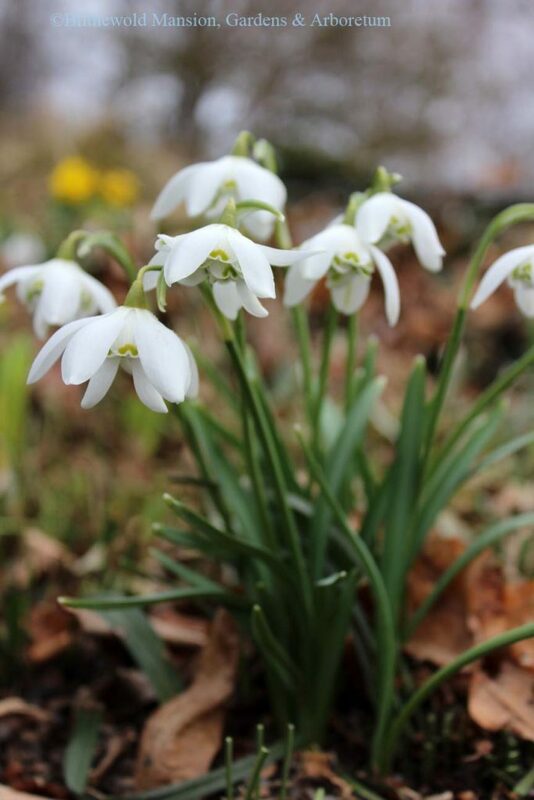 The double snowdrop ‘Flore Pleno’ is a treasure. 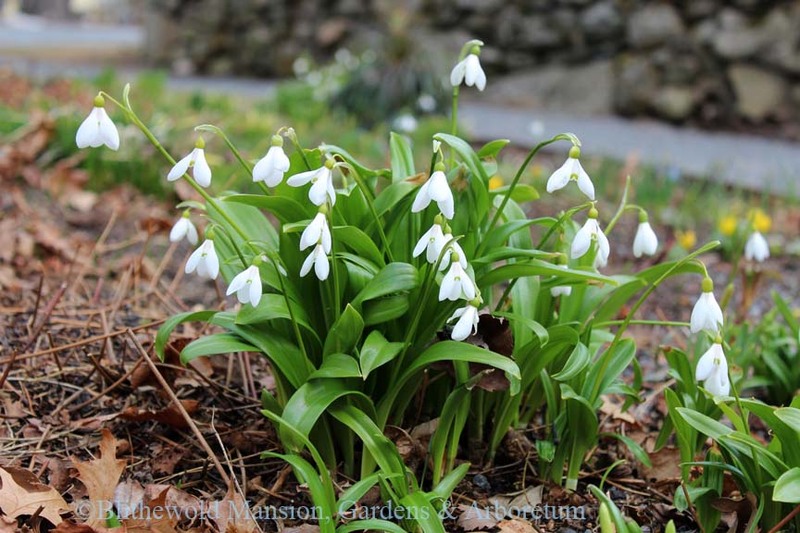 The foliage is thinner and darker than the species; and, the flower boasts layers of white petals tipped in pale green. I can never resist lifting the blooms so I can see all the beauty that is hidden beneath the large wing-like outer petals. 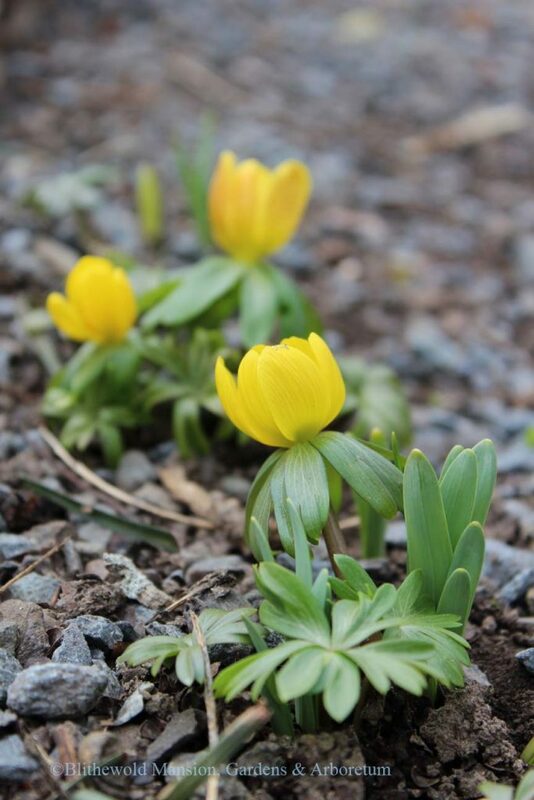 Right nearby, the winter aconite is blooming approximately 2″ above the ground with the cheeriest yellow flowers. Each bloom is like a giant buttercup with a mirror image skirt of green bracts (a specialized leaf). 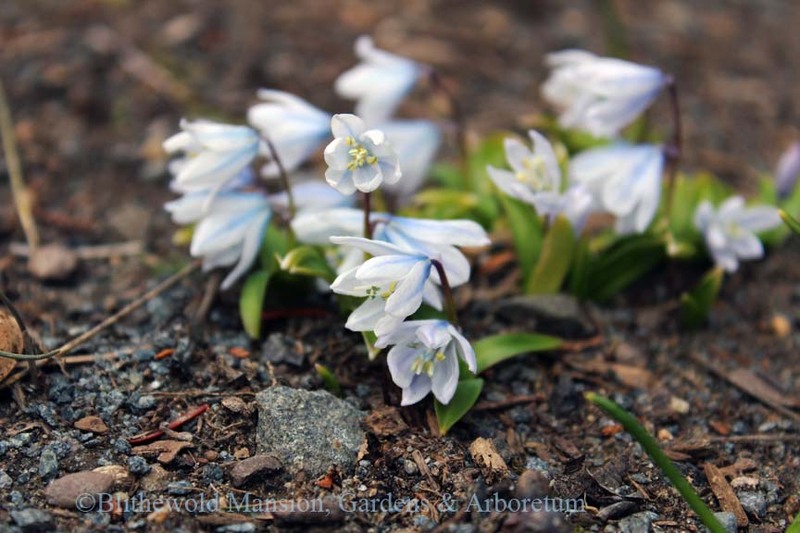 Speaking of diminutive blooms, the striped squill (Puschkinia scilliodes var. libanotica) is just peeking above the surface of the earth as if it’s poking its head out of the covers to see if it’s safe to arise. Can’t wait for the warmth of April to bring these blooms out for all to see. I’ll leave off with this group of crocus in flower in the Trough Garden. I always forget that these blooms are here, but they persist from year to year in their little protected spot near the stone pathway. It is a useful reminder that as horticulturists Gail, Joe, and I have a fair amount of control in the gardens; but, there is also another element of nature having its own way no matter what we do. I’m so glad I get to participate in the evolution of the gardens. Happy spring! 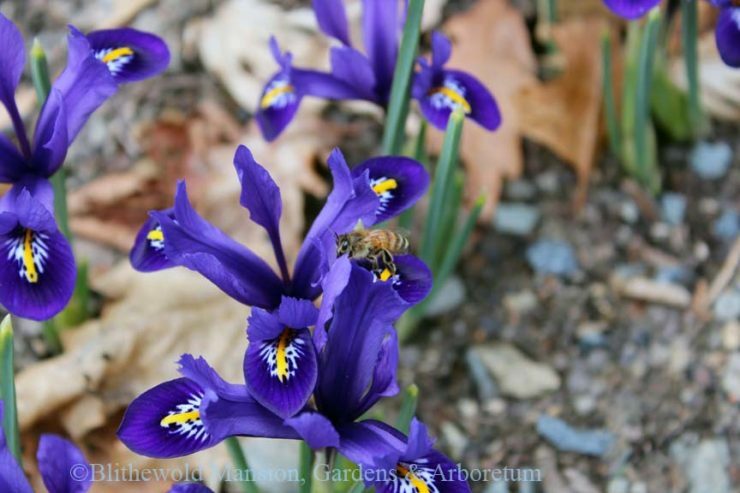 If you want to get even more inspired for the gardening season ahead, check out this lecture coming to Blithewold on April 1st – Untermyer: a Garden for the World. You can register here.